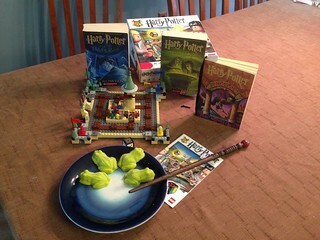 Tomorrow marks the official start of our week long silly celebration. 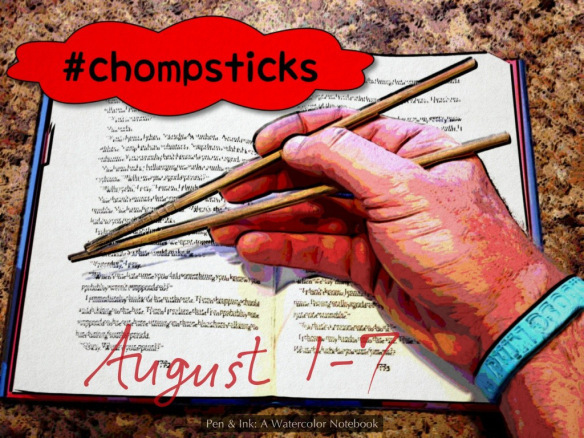 It's the second annual #Chompsticks! Since my family was chomping at the bit to get started, we had our first photo shoot today. 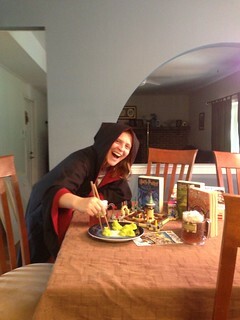 It was Harry Potter's birthday, so we pulled out all the stops for our geeky fun. 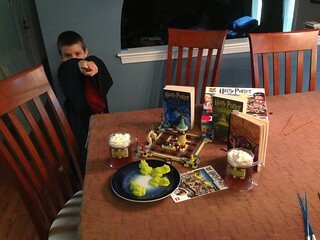 We started by setting up our Potter goodness, complete with chocolate frogs and the Lego game. 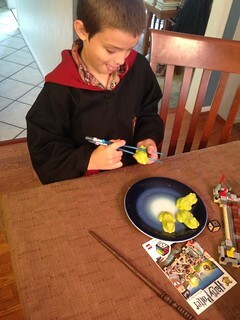 while wearing a Gryffindor robe. 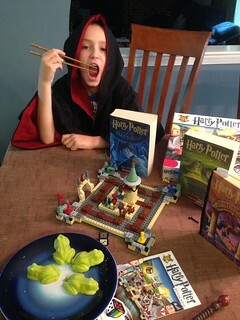 Thursday's theme will be Star Wars... check back tomorrow for another dose of Chompsticks fun.